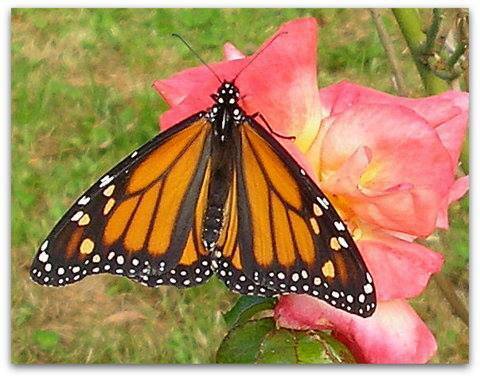 The garden here is frequented by Yellow Admiral, Monarch and - very occasionally - Red Admiral butterflies. 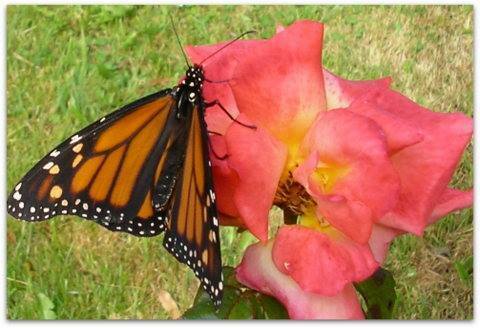 They always brighten my day. 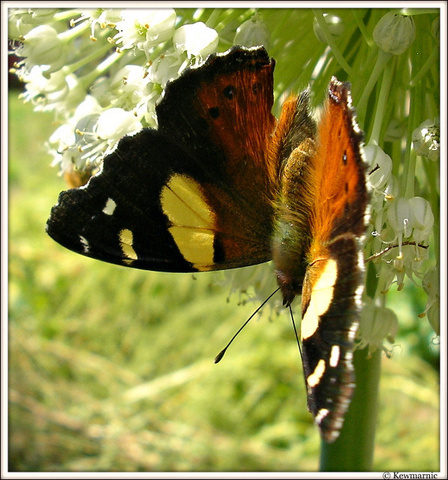 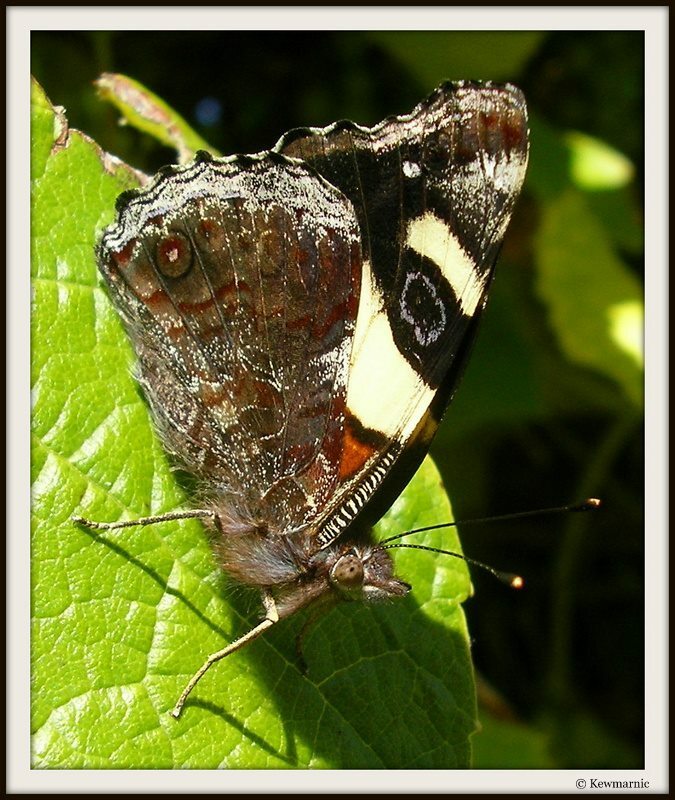 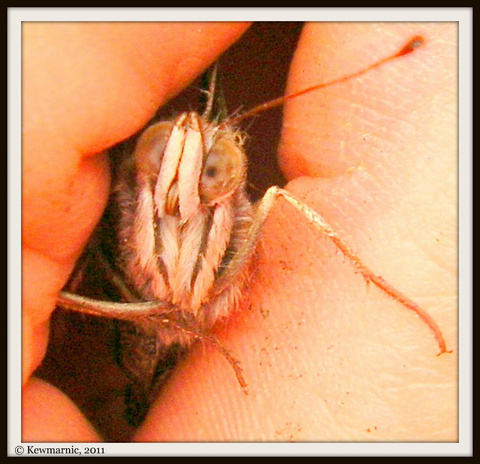 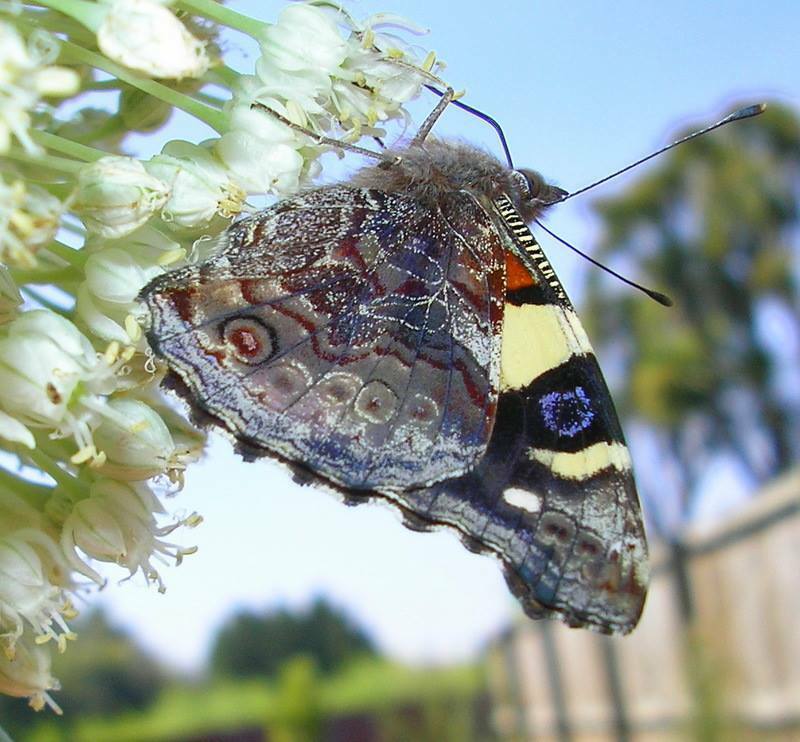 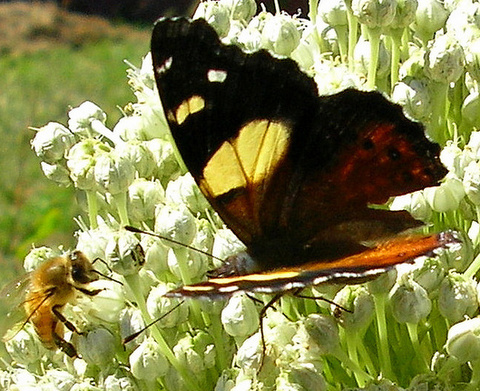 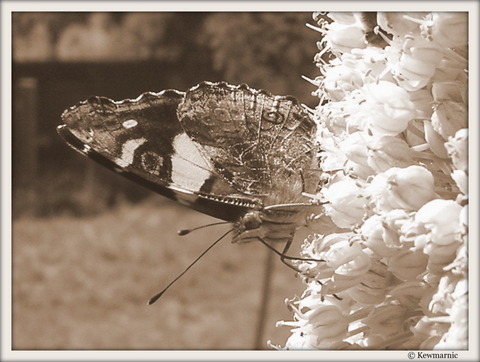 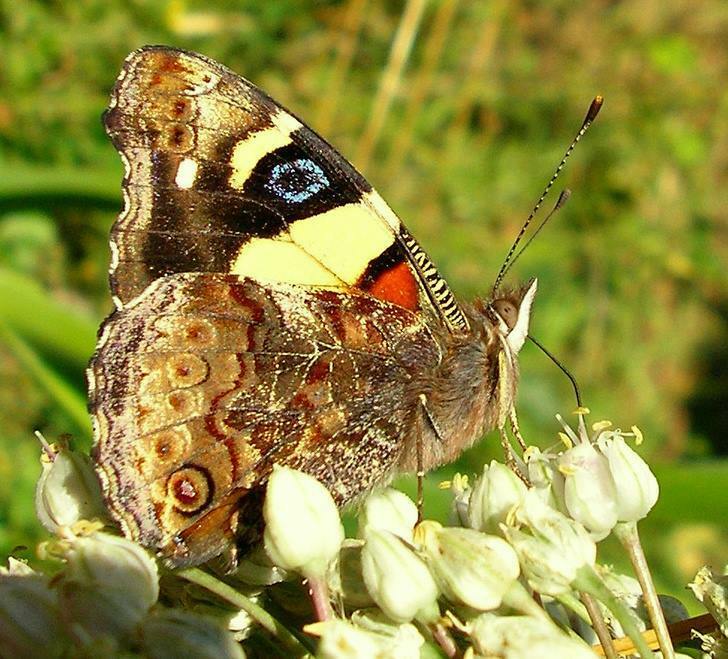 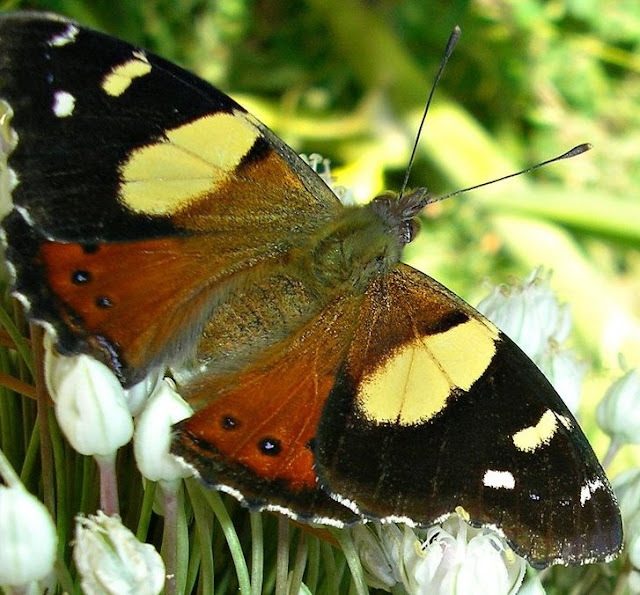 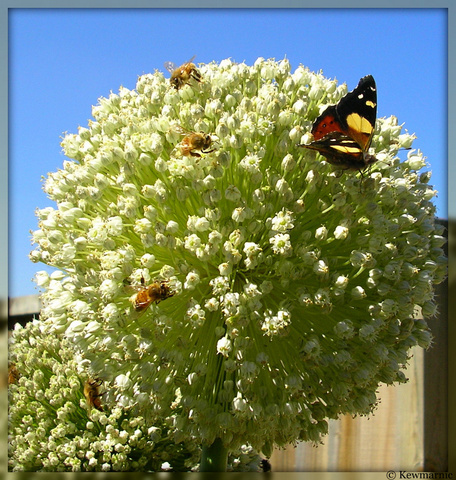 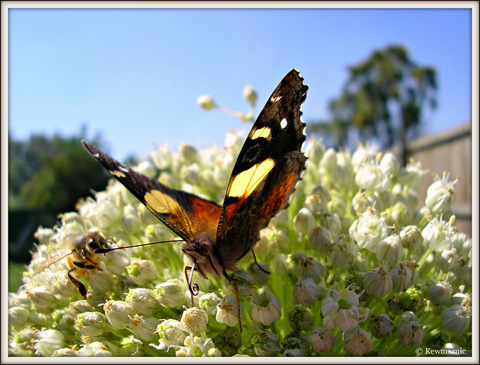 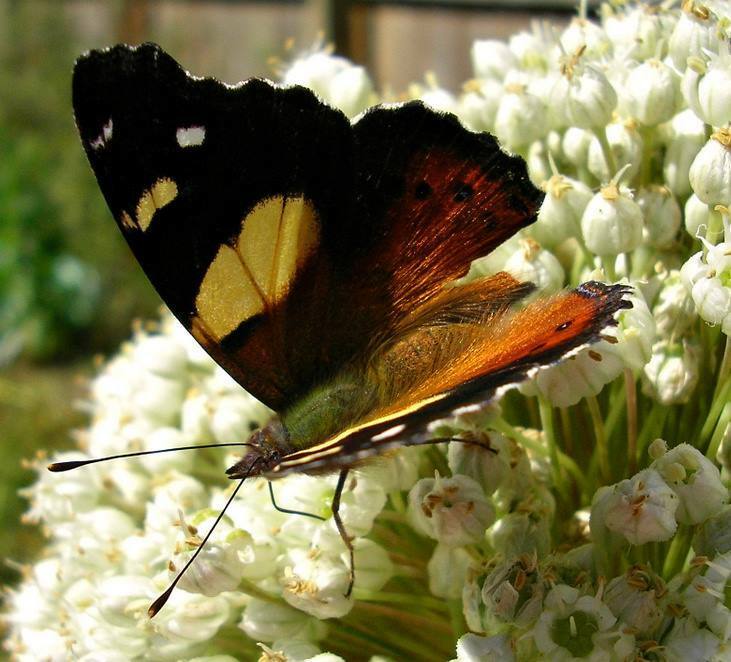 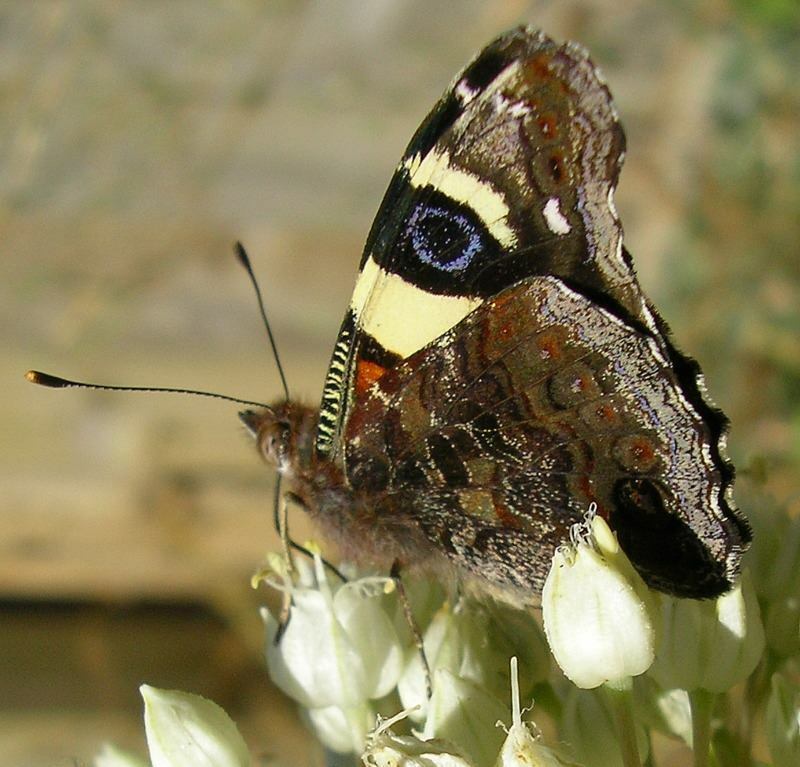 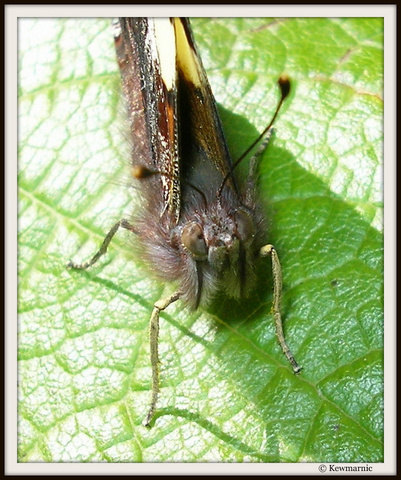 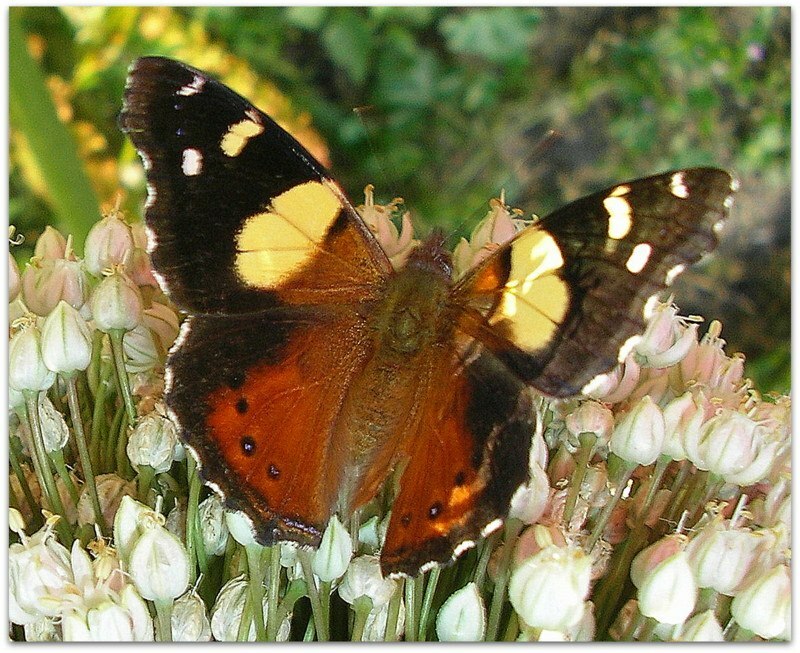 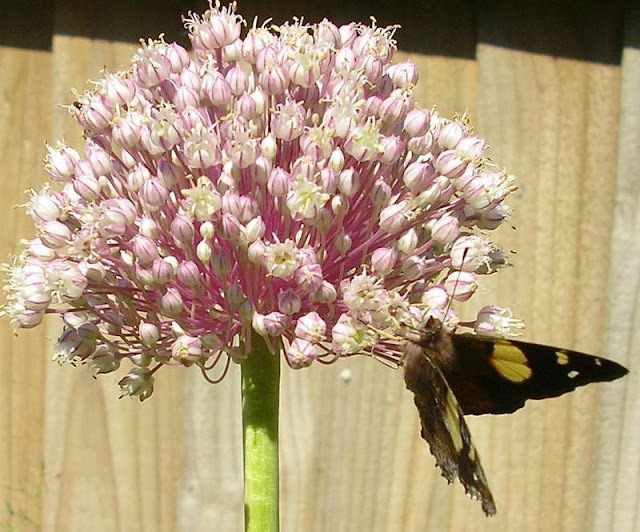 I have discovered that Yellow Admiral butterflies, like bees and other pollinators, have a great love of leek flowers. 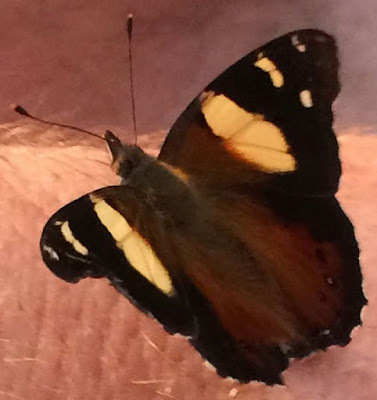 One night a newly hatched Yellow Admiral made it's way into the house. 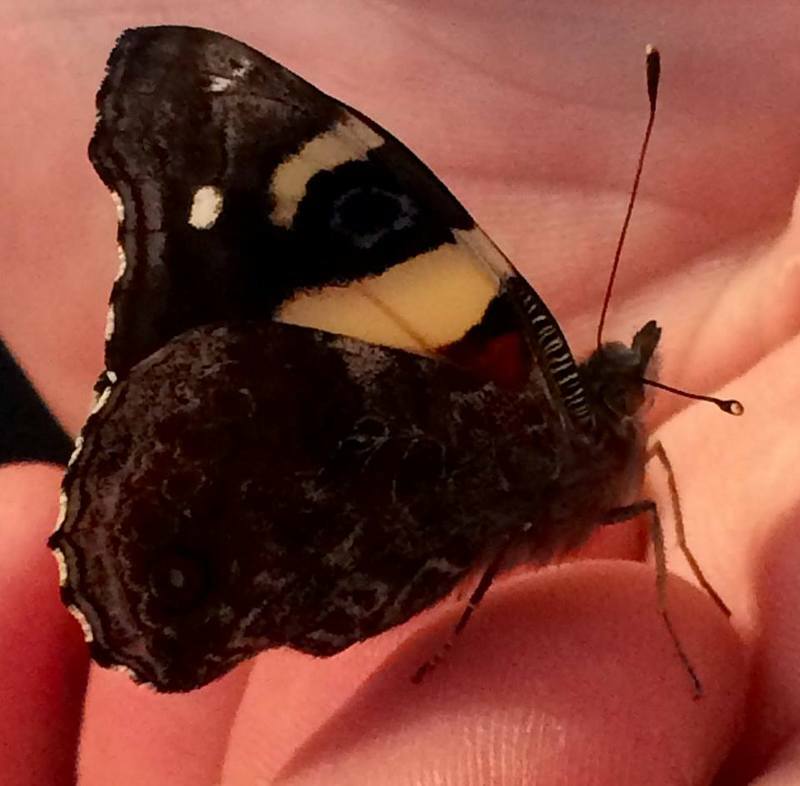 Of course we set it free but not before Andrew and I had captured a few photos!